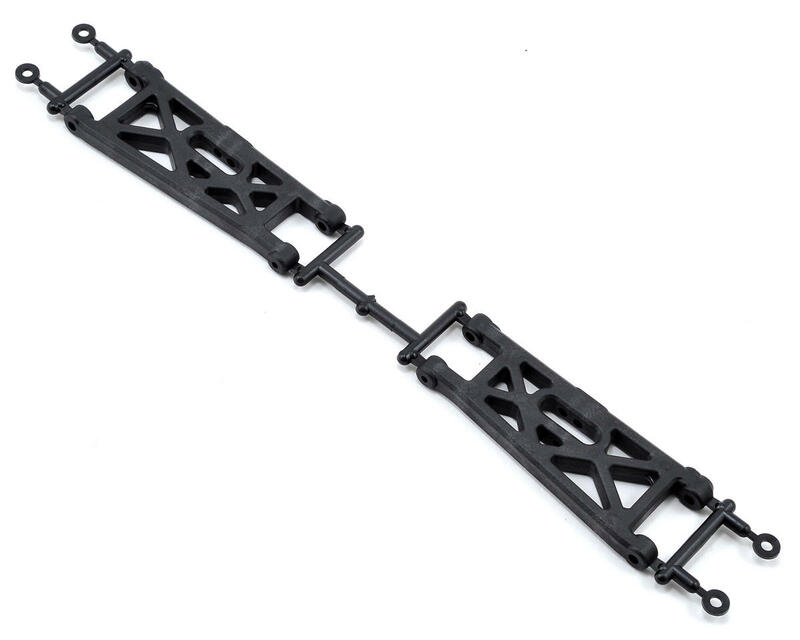 This is an optional Kyosho RB6 Carbon Composite Front Suspension Arm Set. 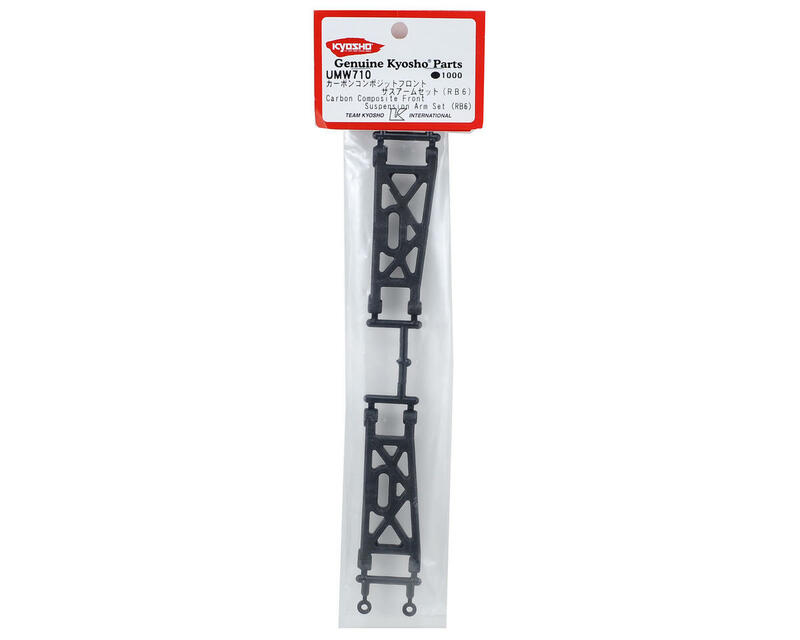 Kyosho Carbon Composite components are more ridged than the parts included with the kits. These are highly recommended when racing in hot climates, because they will not flex or get soft like the stock parts. These can also be used as a tuning option in any condition as they are lighter and deliver more consistent handling. Keep in mind, the increased rigidity will make these parts more susceptible to damage when used in colder climates.